Winnie (My BFF & Blog partner) told me her best Thai restaurant in Boston!! There is no reason I will not try to taste some of her favorite ones!! So I tried three dishes. 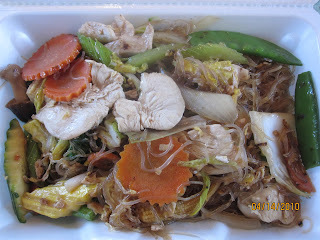 1)PAD WOON SEN: Stir-fried bean thread noodles with mixed vegetables (Add chicken as option). 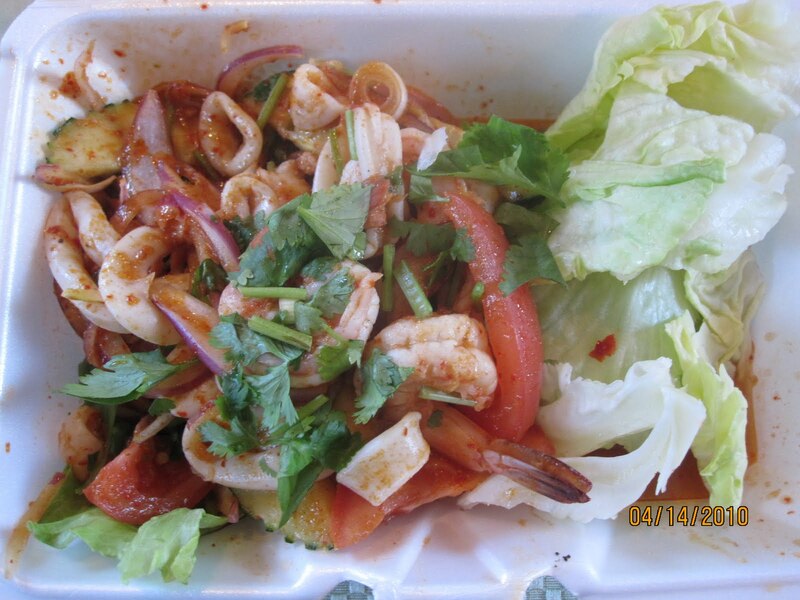 2) YUM SEAFOOD: Fresh seafood on a bed of lettuce, cucumbers, tomatoes, mushrooms, red onions, lemongrass and scallions with a chili paste lemon dressing. Spicy!Spicy! 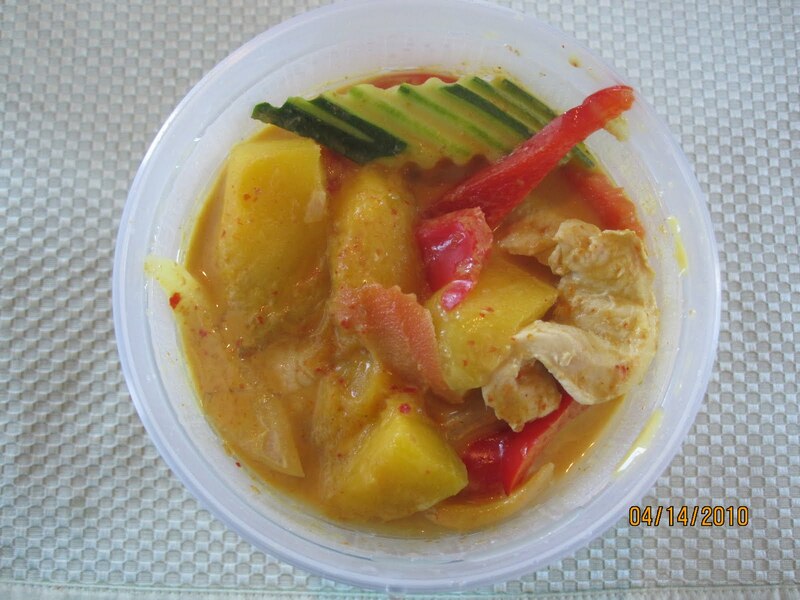 3) CHICKEN MANGO CURRY: Sliced of chicken breast with sweet mango chunks, onion, summer squash, carrots and peppers in coconut milk and a special yellow curry sauce. 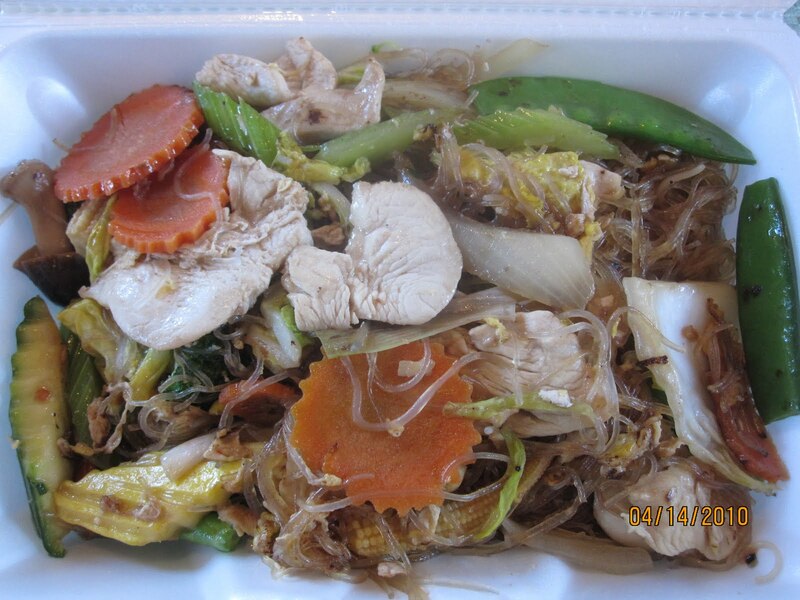 I enjoyed very much for all dishes. 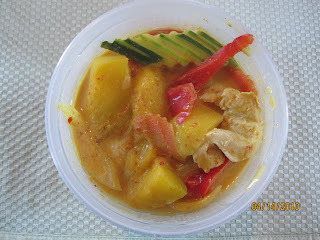 Only one thing I can comment is Chicken Mango curry was not spicy enough for me and it was a little too sweet. But I liked them and would like to try other menu too!! It is very good to have Thai food and cold beer! !